In recent years many books have been published in the area of Christology (who is Jesus in himself?) and soteriology (what did he do as Saviour?). A number of notable, ecumenical documents on Christian ministry have also appeared. But in all this literature there is surprisingly little reflection on the priesthood of Christ, from which derives all ministry, whether the priesthood of all the faithful or ministerial priesthood. 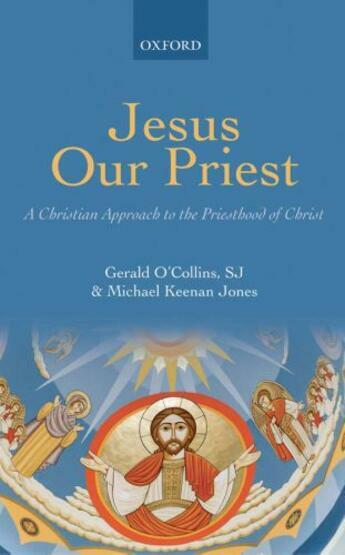 This present work aims to fill that gap by examining, in the light of the Scriptures and the Christian tradition, what it means to call Christ our priest. Beginning with a study of the biblical material, the book then moves to the witness to Christ's priesthood coming from the fathers of the Church, Thomas Aquinas, Luther and Calvin, the Council of Trent, the seventeenth-century 'French School', John Henry Newman, Tom Torrance and the Second Vatican Council. The two concluding chapters describe and define in twelve theses the key characteristics of Christ's priesthood and what sharing in that priesthood, through baptism and ordination, involves.